Visit underwater sculpture Park. The sculptures has created with neutral pH material by popular underwater sculptor, Jason deCaires Taylor. Our private boat snorkeling trip spared you from squeezing and waiting with 20, 30 or 40 people on the same boat. 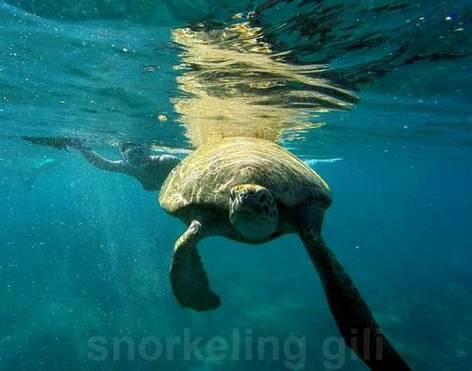 Snorkeling at your own pace while enjoying the flexibility on the time you spend in the water. You can join us even if you stay in Gili Air or Gili Meno. You will have your personal captain and snorkeling guide. The boat has a roof, a ladder and a glass bottom. The meeting and departure is from Gili Trawangan. How to join us if you stay in Gili Meno or Gili Air? Every morning, there is a public boat departing from Gili Meno and Gili Air to Gili Trawangan. You can take the public boat and arrive Gili Trawangan in the morning. Explore Gili Trawangan island, do some shopping, take your lunch and then meet us in the afternoon at 13:00 for your snorkeling trip. 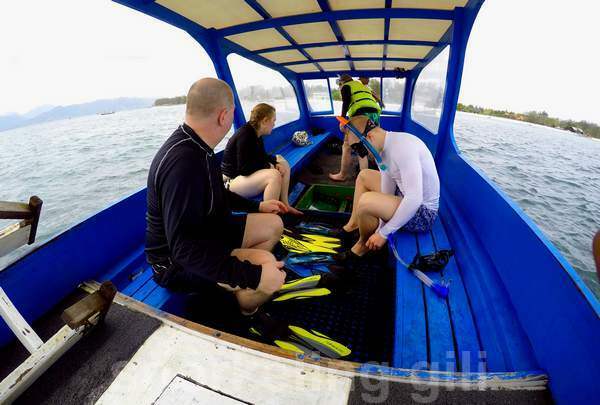 At the end of your snorkeling trip, we will bring you back to Gili Meno or Gili Air. 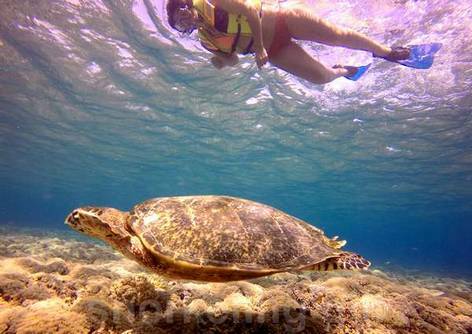 Your snorkeling trip will also include some spots around Gili Trawangan. on the east coast of Gili Trawangan, we can pick-up you from your resort, the boat will be on the beach near your hotel. in other areas, we will meet you on the east beach nearest to your resort (if the tide is too low for our boat to beach on the other coast of the island). If you come from Gili Air or Gili Meno with public boat, meeting will be at Vila Ombak Jetty. To secure to your reservation, you have to pre-book (send us an email) and to pay a deposit of USD10.